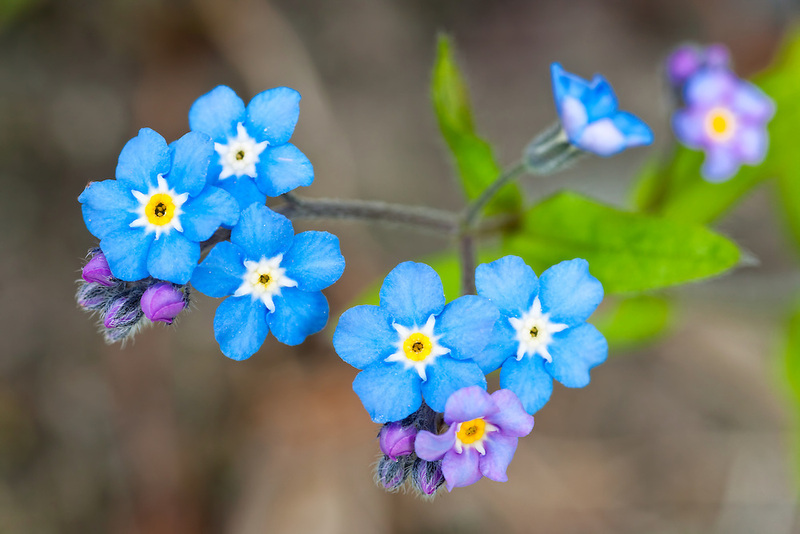 Closeup of Alpine Forget-Me-Not (Myostotis alpestris ssp. asiatica) in Chugach State Park, Eagle River in Southcentral Alaska. Spring. Morning.